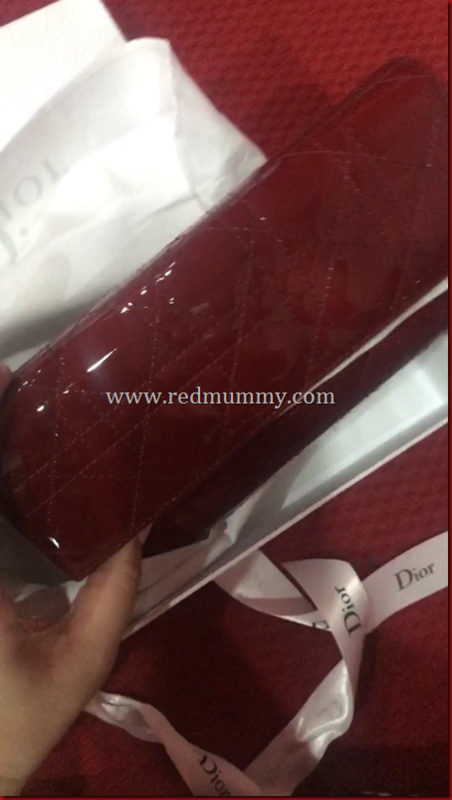 I blogged about my husband’s Red Iphone 8 on 23rd May. That s his anniversary and birthday present, raya gift gak. This was an OK relationship after months of struggling (the 17 years tu sama gak lah but ni as per the recent one). As usual, ai was the one yang made an effort. Ko ada dapat bini dah dapat pelempang dek laki bagi, tapi bini bagi Iphone 8, mano nak jumpo bini gini kan sangat. So takpelah, dah rezeki aku lebih. dah tu bahagian dia. Then, on 11th June, just a week before Syawal. What is my dosa pulak kali ni? Coz i was being honest for his recent attitude, then once again, laki being baran and dumped me at Neo Damansara, Damansara Perdana – Hafiz Hamidun’s event. So dalam gelap jam 9 lebih malam tu, ai had to call a grab balik rumah. Things didnt work out so well after that. no raya for us no nothing. Nothing from him at all. He didnt want to work out for the marriage (for 17 years jenis yang, hah jom cerai, hah jom divorce, memang takde usaha nak berdamai nak berbaik, jenis yang bila gaduh. hah jom cerai, menyampah aku tengok muka bini aku, bini useless) beginilah for over 17 years ye. No roses bunga merah no wishes at all, no hadiah of course. only at the nite of 11th July tu, at 1107pm (technically at 2307hours) – a simple wish HAPPY BIRTHDAY . ini sahaja. that s all. Hehari aku nangis, napa la laki aku camni. Paling ego sombong bodoh tinggi sungguh. Meaning to say, i ddnt get my Bissels. Cos I bought lots of stuff for the family, for the husband. Nothing for me. N since aku pun kesian ngan diri aku ni gak, yang dok pleasing je suap memacam hadiah, but untuk self takdak. 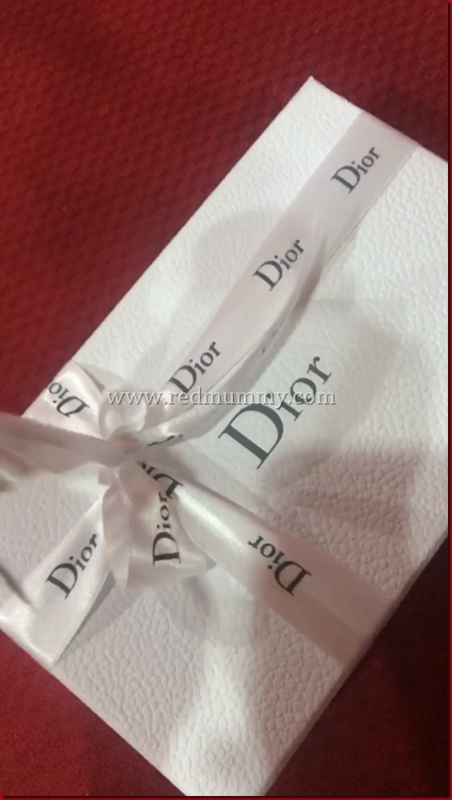 I went to Dior KLCC. My birthday present to myself. Happy Birthday Kak Red, the 43rd!! Yey, thank you for the birthday wishes, walaupun laki dah buang saya from his life. But my kids love me so much. They surprised me with lots of things specially the boys (coz Kakak masih lagi kat hostel). That s fine. Alhamdulillah syukur coz i m surrounded with the poeple who love and care bout me gak, masih lagi. Walaupun the husband dah tak nak look after me, tak nak bagi nafkah makan to me tak nak dah tak bother about me anymore. This is sad but yes, i have to move on. It s going to the end…	Raya-raya riaktakburs…. Bertabah lah dear…. i can feel u.
Sedih pulak sy sebab selalu buka blog akak, akak jenis happy go lucky je. Semoga akak tabah ye. Sy tahu akak kuat. Sedihnya…Akak ni pembaca setia blog ni. I know that u are such a giver. U are so generous towards your family and readers too. But I am glad that u made an effort to buy yourself a birthday present. U deserved it. Happy birthday Dear Red. Semoga segala impian menjadi kenyataan. i’m a silent reader & follower blog kak RM…me do feel pity to her keep strong kakak RM!…you deserve better! stay strong kak red… weeeee love u kak red……..
You deserved that hadiah kak! You are one strong women! This is actually a blessing in disguise. Why bother with such an insecure and coward man? Bini useless??? Haha – you know what it really is? He can’t stand seeing you be so successful in life – whether its your social media, work, home etc. So instead of improving himself this egoistic bully tries to run you down emotionally. You deserve a better life with people you respect and love you. All the best to you dear lady. Please dont weaken and go back to him. 17 years of emotional abuse is enough ! Happy birthday kak red walaupon dh wish dlm fb kat sini boleh so wish jugak… happy belated birthday sebenarnya..
Stay strong kak…insyaallah kami kawan2 sentiasa mendoakan akak dipermudahkan segala urusan selepas ini. Akak hanya boleh cakap sabar saja. Inshaallah dipermudahkan segalanya buat kalian sekeluarga. Stay strong kak red… semoga Allah memberikan yg terbaik buat kak red & anak2..
P/s: sorry tanya kak red, tp klau tiap klai gaduh keluar dr mulut dia ‘ jom cerai’ tu bukan dh jatuh cerai ke kak..sbb perkataan tu mn boleh buat main kan..tp harap dpt selesai semuanya nt ye kak red..
Ive been you reader from 2008. Yes u never mentioned RD’s flaw at all. Keep on doing that. May the great and better one will come to you. Tc of ur health. Doa byk2. Allah syg kak red. I hope you are doing well with your kids. I was speechless reading your latest post on blog. You are a perfect wife and mother kak red. I can see that through all your blog posts and your stories. You are such an amazing person, and somehow looking at you i was so jealous at first. I thought how could you be so cool and happy around your kids and husband? You were always happy,energetic,generous to your husband and kids. Because kak,i’m that kind of person too,to give is my best feature.It is beyond my expectation that something like this could happen to you,it happens to anyone,eventually.Be you are kind,pretty,smart,lazy,stupid, it happens anyway regardless who we are.Kak I really hope you keep surrounding the readers with your hilarious energetic loving-family post.You such an inspiring person to many without you realizing it out here somewhere someone is reading what you keep posting on your blog and be happy. That’s a nobel job kak. Trust me, Allah will always keeps you under HIS wings. Whatever I say probably won’t make you feel good or happy or even smile a little bit, I wish you all the luck in the world kak red. The fact that i’m sad reading about this makes me wanna cry. Happy birthday kak red. Hope everything will be going ok..and hope u always be strong..
Semoga semua urusan Kak Red dan keluarga dipermudahkan, aaaminnnn. Sedihnya Kak Red. Moga yang terbaik buat kak red and family. Kak Red seorang yang kuat!!! ezna recently posted..Bila teringin sotong bakar…. While this is not an easy thing to share, it acts to address speculation any reader may have so kudos to you for being brave enough to talk about it. So very sorry to hear what you went through and what he put you through all this time emotionally, verbally, physically. No woman deserves that at all, ever! I have faith that you will go through this and emerge stronger than before; after all, what doesn’t kill us makes us stronger insyaAllah. InsyaAllah too, Allah will grant you the courage, strength and perseverance to go through this. This is part of His plan and it’s for the better bcos you deserve better! Alhamdulillah you’re surrounded with loving and understanding children, family and friends. And yes, treat yourself well bcos you work hard for it all and you deserve it all!!! Last but not least, Happy belated Birthday, Kak Red, from a fellow July baby. Take good care of yourself ok.
P.S. It’s OK to cry. It takes much strength to cry and admit defeat. I know you will pull yourself out of this temporary setback. kak red…stay strong we love u……………………. I am shocked, sad and angry. Besar sungguh dugaan Kak Red hadapi. I truly didnt see this coming. I lama tak baca your posts. Tapi taklah sangka this kind of stuff can also happen in your life. Bertabahlah Kak Red. Although I don’t really know you, I teared up reading this post. At least im glad u r a carreer woman. Also U r a superMAK. Saya doakan Kak Red dan anak-anak akan sentiasa tabah mengharungi cabaran yang Allah telah aturkan. Sekian lama saya sibuk..dari hari ke hari saya nak blogwalking dan malam ni baru dapat baca blog akak…allahu..x tau nak kata apa kak…i feel you…walau saya x tau apa cerita sebenar…but i’ve felt thats feeling…now dh 13 yrs i’m being single..x nak and takut nak kahwin lagi…x sangka akak pulak hadapi..i’ve gone through this…its hard kak…its hard but life must go on..saya tau akak kuat..saya tau akak mampu hadapi dugaan ni semua…what i felt now walau i x tau cerita sebenar .siapa salah siapa benar..i just wanted to hug u kak….take care…be strong….